A quintessential English Country Cottage is depicted on three sides of this beautiful playhouse that will make every little's girls' dreams come true. Turn it around and it becomes a village tea shop ready to serve afternoon tea. Comes in its own carry storage bag. Easy to assemble sturdy metal frame, takes 10 minutes for adult assembly. 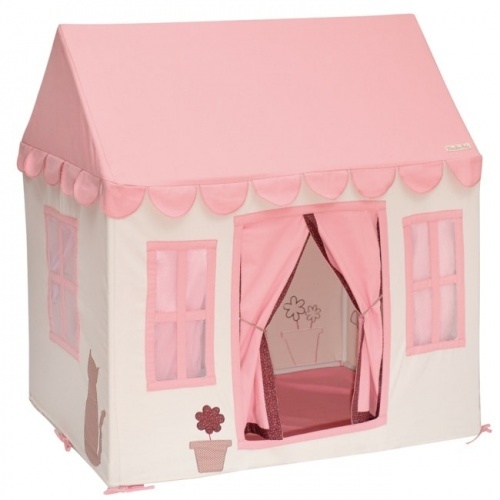 If you have chosen to have your playhouse personalised, delivery can take up to 5 working days. This item is dispatched direct from our supplier. Please note International Shipping is unavailable on this item.